Toshiba Electronic Devices & Storage Corporation (“Toshiba”) has released the new TLP3122A photorelay for factory automation and other industrial applications including building automation, security and semiconductor testing. The new photorelay integrates MOSFET devices fabricated using the latest U-MOS IX process to reduce on-state resistance. 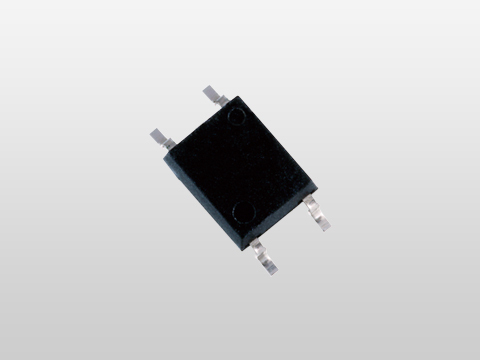 Housed in the small 4-pin SO6 package, the TLP3122A provides an off-state output terminal voltage (VOFF) of 60V, a constant on-state current (ION) of 1.4A and an on-state pulsed current (IONP) up to 4.2A. The on-state resistance (RON) is typically just 0.13Ω, allowing highly efficient operation while the off-state current is only 1μA. The device offers fast switching times of 3ms (tON) and 1ms (tOFF) with an isolation voltage of 3750Vrms. It is fully approved to UL1577 for safety-critical applications. The normally-open TLP3122A serves as a replacement for 1-Form-A mechanical relays to improve system reliability and save the space required for relays and relay drivers. In addition, the TLP3122A is rated for an operating temperature between -40°C and 110°C which is ideal for industrial applications and makes it easier to allow for a temperature margin in system-level thermal design. The new TLP3122A photorelay is upward compatible with the TLP3122 in the conventional 2.54SOP4 package. It also helps increase the system drive current, making it possible to serve as a replacement for a wider range of mechanical relays. Volume shipment of the new photorelay has begun.